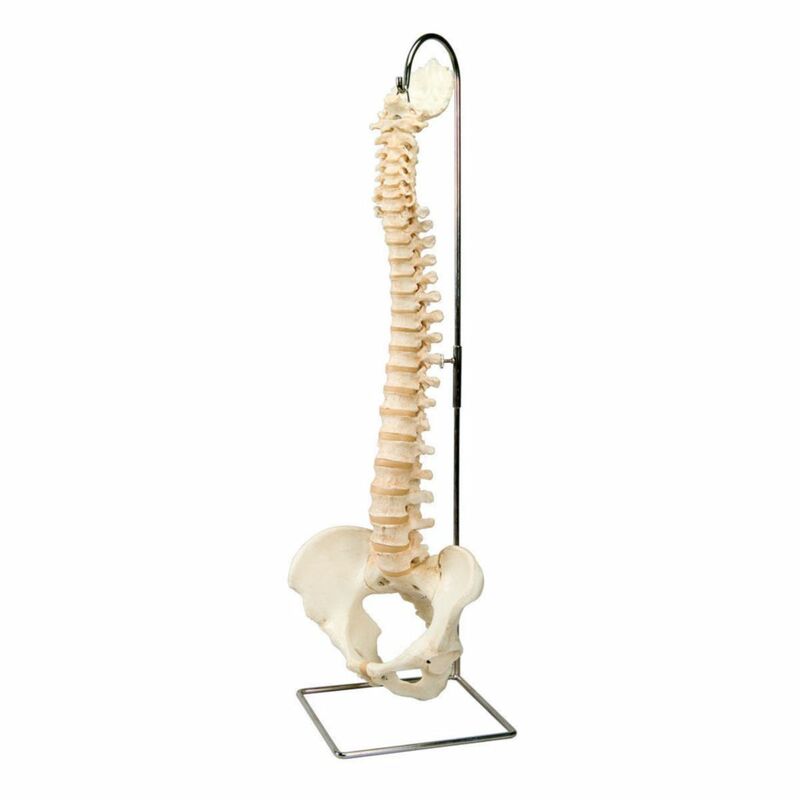 This anatomical replica of the human spine is a flexible, mounted, true-to-life model of the human vertebral column in excellent BONElike™ quality. The spine is an original reproduction of all anatomical details, based on real weight. The spinal column model consists of the male pelvis and occipital bone. Occipital bone and atlas can be detached individually from the spine. 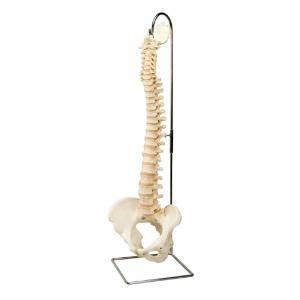 Ordering information: This vertebral column is delivered without stand.